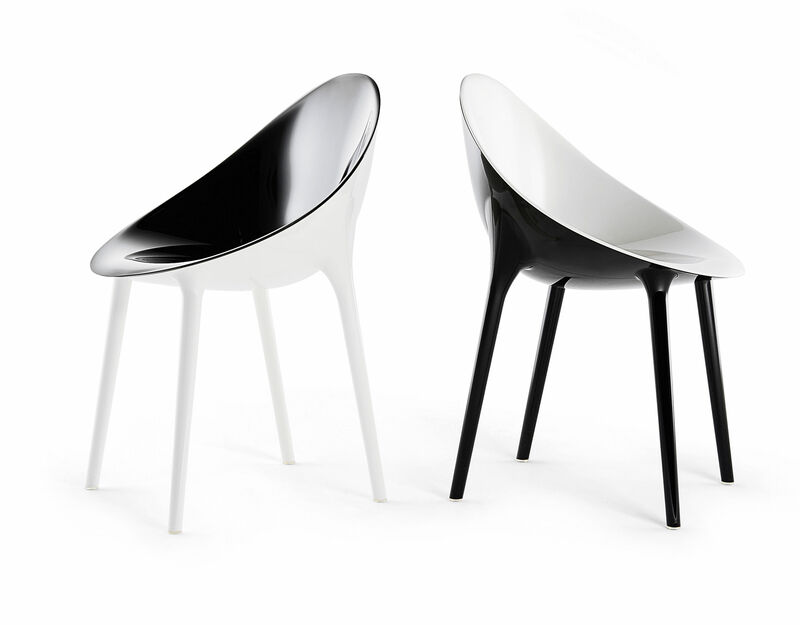 Philippe Starck has given his original Mr. 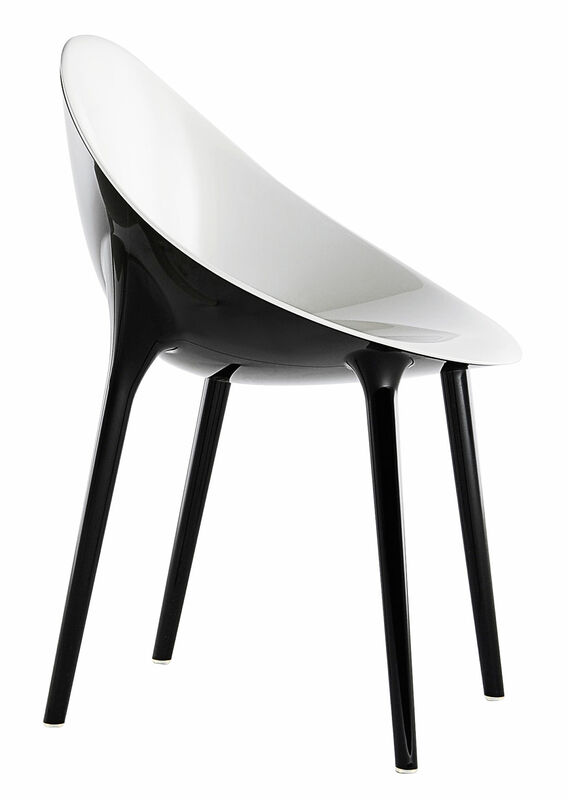 Impossible Chair a sleek new look with Super Impossible. It's still the same egg shaped chair but with a shiny new persona. 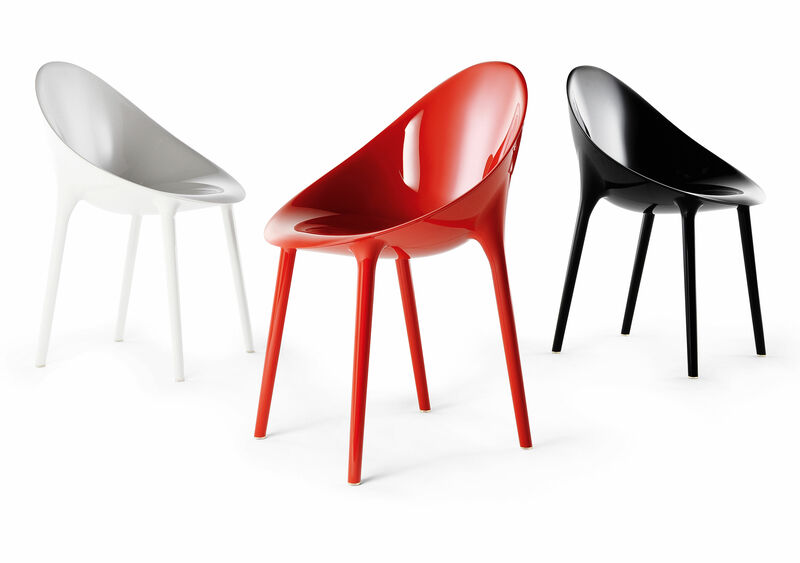 In new solid colours it has a glossy, sensual and striking look. The plain colours come in bright hues - white, red and black - whilst the two tone version has an almost classically Chanel appeal. Like Mr. Impossible, Super Impossible is formed from two laser welded polycarbonate shells.